Well-furnished and regal-decor stay closeby IGI Airport. Hotel Annus Holiday is a stunning stay option in DLF Phase 3 in Gurgaon. The nearest metro station is IndiGo Guru Dronacharya. IGI Airport is just about 25 minutes driving distance. DLF Cyberhub, Kingdom of Dreams, Aravalli Bio Diversity Park and many more attractions are located nearby. 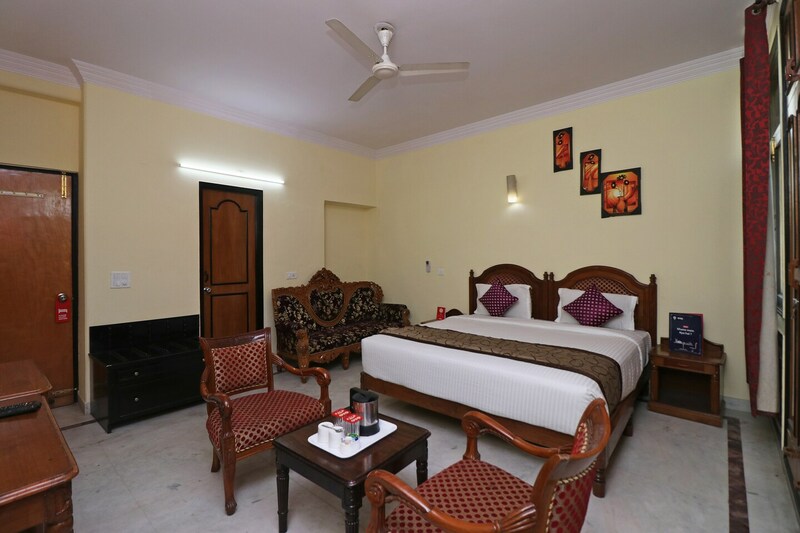 The rooms are well-decked in a royal style with complementing furniture and decor. The hotel is setup luxuriously, for a relaxing stay of guests. The facilities offered are AC, TV and free Wi-Fi in all the rooms. Power backup, card payment option, CCTV surveillance and an in-house restaurant also provided. Calorie Smart, Crudo Juicery, Bakers Dozen, Handi X-Press, Chaadha Aunty & Sons are restaurants close by.